Another year, another World Sight Day celebrated in Armenia. 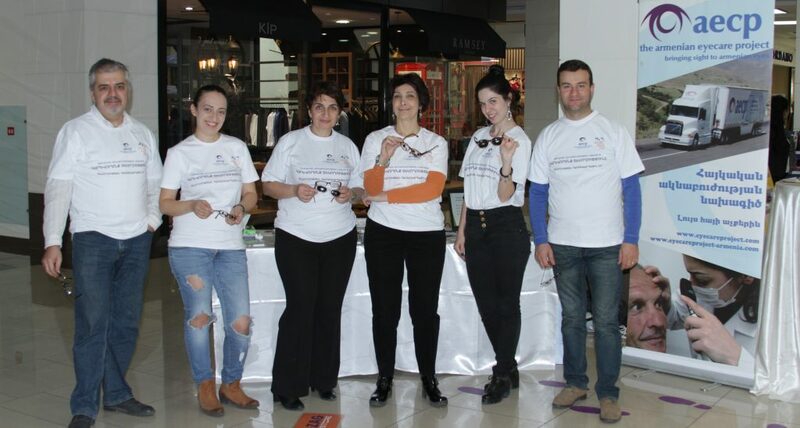 The Armenian EyeCare Project has been honoring the annual day of awareness, which focuses on global attention on blindness and vision impairment, for over a decade now. Last October, we invited high school students from Ijevan and Spitak to visit our Regional Eye Clinics so they could become more familiar with eye care and ophthalmology. Developed due to a need outlined by Armenia’s Ministries of Education and Health, the children’s book is geared toward elementary school students and aims to give children of this age a basic understanding of their eyes, how they work and how to care for them. On October 12, 2017, students were able to go through the book with AECP staff and their teachers, performing its activities together and making education on eye health fun. “Through the charismatic character of a little girl named Desunik, students in Yerevan had a fun way to learn about things like the structure of an eye, eye care and vision safety rules,” Nune Yeghiazaryan, AECP’s In-Country Director said. In addition to this fun, interactive class, AECP ophthalmologists also performed free eye screenings to the nearly 200 students at these schools and referred them to specialists in cases where vision problems were detected. Aside from the eye screenings and public education classes at elementary schools in Yerevan, the AECP also put together a public awareness booth at a popular shopping mall in the capital, handing out educational leaflets to passers-by, having samples of foods that are beneficial to the eyes and answering questions about eye care when needed. “This year, we focused our activities on public awareness and education. Today was the first day we presented our new children’s book, ‘Desunik’s Game of Sight’, to students and we are happy to say that it will be used in many schools in Armenia in the near future,” Yeghiazaryan said. Over 13 percent of Armenia’s adult population — 16 years and older — has at least one eye disease that can cause blindness. But the good news is that 80 percent of vision problems can be overcome if they are treated early or prevented altogether. Public education is key for this to happen. 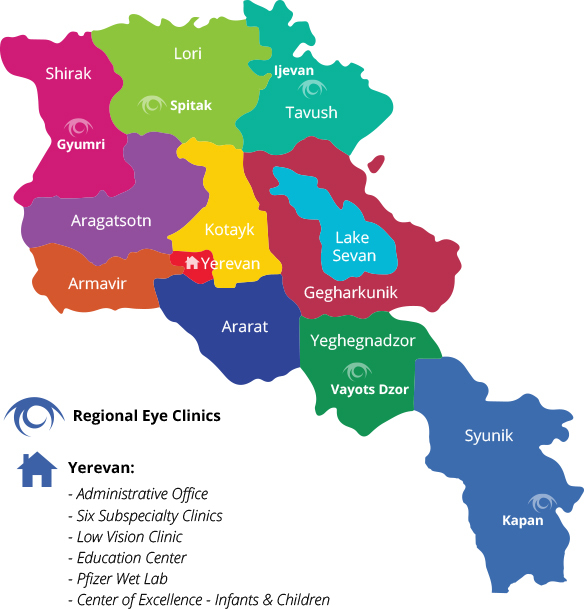 People in Armenia need to educate themselves on eye health and practice prevention and early intervention. The more Armenians know about eye care, the more they can take the proper steps to look after their eyes. We can eliminate preventable blindness in Armenia together — citizens and physicians working hand-in-hand to make it happen.